Please put your favorite ingredients! 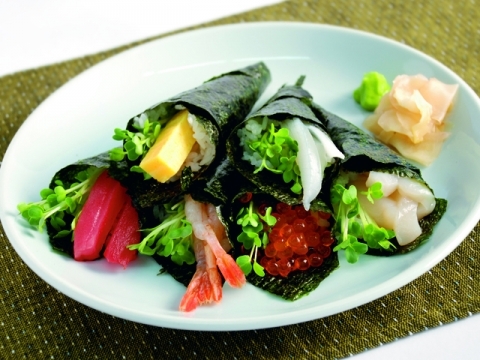 Place the sushi meshi (vinegared rice) on top of the nori (seaweed), add plenty of kaiware daikon and your choice of other ingredients, and roll the nori. Add your choice of ingredients, including cheese and tamago-yaki (Japanese omelette), and enjoy!